The Psy.D. Programme’s mission is to prepare clinical psychologists who bring depth psychological approaches to working with diverse communities as well as community mental health values into depth psychology work. The Psy.D. degree program embraces a practitioner-scholar model where the emphasis is on the practical application of theoretical material to specific settings in which psychologists work. Those with Psy.D. 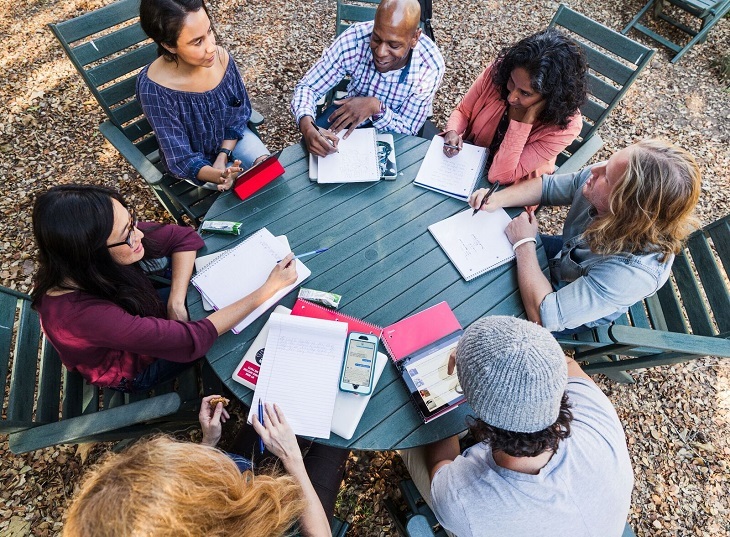 degrees most often work in community-based agency settings, in private practice, in integrative health care settings, organizational settings, health service, and as faculty in professional psychology programs. A Psy.D. education stresses self-reflective practice along with interpersonal skills and the capacity to engage with others in interprofessional frameworks. Clinical skills, projective and objective assessment, and treatment are the main application areas in addition to theory and research. Both foundational and functional knowledge are focused on. At Pacifica Graduate Institute, in addition to providing the broad and general educational context that is required in the field of psychology, depth psychology is honored for its long life of clinical effectiveness, its relational focus, and its value on expanded understandings of developmental complexity, self-organisation, and individual and collective consciousness. Depth psychological approaches are among the oldest forms of psychotherapy in the world and there is a current resurgence of interest in and validation for depth psychology, particularly in the context of interpersonal neurobiology, with practitioner/researchers such as Allan Schore, Ph.D. and others making contributions. Clinical psychologists, such as Jonathan Shedler, Ph.D., are now also bringing research, that validates depth psychological approaches, to light. For example, see Dr. Shedler’s article on The Efficacy of Psychodynamic Psychotherapy (in PDF). Although the program is relatively new, it is rooted in the clinical psychology program offered by Pacifica since the late 1980s. Thus, the program bridges the rich history of teaching depth psychology with the contemporary world of clinical psychology. This practical integration emphasizes depth psychological perspectives within current areas of psychological studies such as relational approaches and attachment; evidence-based practices; integrative assessment; interpersonal neurobiology and biopsychosocial approaches to integrative health care; self-reflective practices; community-based practice approaches; and mental health public policy. The curriculum reflects a commitment to bringing compassionate and socially responsible scholarship and values to the important questions posed by applied clinical psychology, including emphases on the unconscious determinants of behavior. The program offers courses that provide foundational knowledge in psychology as well as those that focus on depth psychological treatments, community mental health, diversity, and indigenous perspectives in psychology. Mindfulness and Imaginal, somatic, ecological and contemplative considerations of psychological work are included in the program as well. Explore depth psychological perspectives such as relational approaches and attachment; evidence-based practices, including brief psychodynamic approaches; integrative assessment; interpersonal neurobiology and biopsychosocial approaches to integrative health care; community-based practice approaches; and public policy related to mental health. This program is rooted in the clinical psychology program offered by Pacifica since the late 1980s. Thus, the program bridges the rich history of teaching depth psychology with the contemporary world of clinical psychology. This practical integration emphasizes depth psychological perspectives within current areas of psychological studies such as relational approaches and attachment; evidence-based practices; integrative assessment; interpersonal neurobiology and biopsychosocial approaches to integrative health care; community-based practice approaches; and mental health public policy. 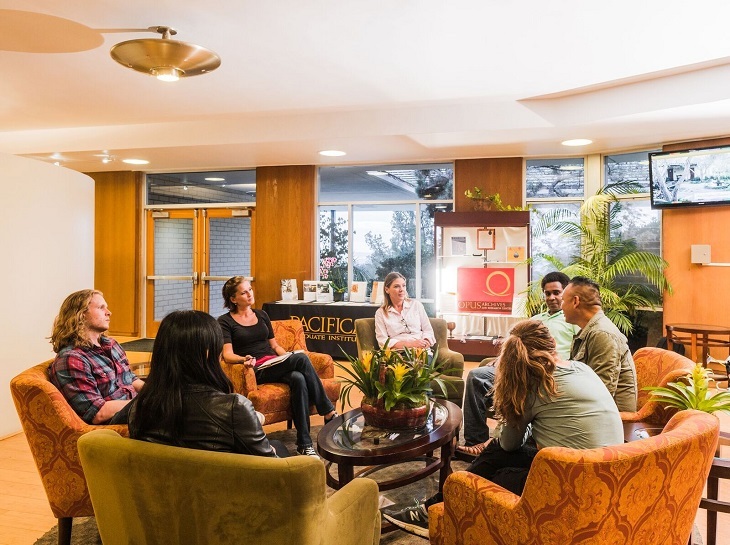 Following a practitioner-scholar model of training, this program represents Pacifica’s commitment to grounding the principles of depth psychology in clinical practice within community settings. The Psy.D. program’s mission is to prepare clinical (health service) psychologists to apply foundationally as well as depth psychological knowledge and skills within diverse inter-professional practice settings. It is designed to produce clinical psychologists who are skilled in a broad range of clinical work, including psychotherapy, assessment, supervision, and consultation, as well as integrative approaches to health, informed and enriched by depth psychological perspectives. Pacifica trains students to achieve a successful integration of broad and general knowledge in clinical psychology, including core clinical skills, with personal experience of the unconscious and relational factors, which motivate individual and collective behavior. Students attend classes in the Psy.D. program for four years during fall, winter, and spring quarters. Each year, classes are held on campus during nine, four (4)-day sessions (three per quarter). There is no on-campus summer quarter. Students complete their dissertations within years three and four, along with coursework. There is an eight-year time limit for completion of the degree program. Please see the graph below for a visual overview of the Psy.D. program. The classes are a combination of lecture and discussion formats and generally, occur on Pacifica’s Lambert Road campus. While faculty present lecture material, time is set aside for discussions and question and answer periods. Some of the classes include presentations by experts, experiential activities (e.g., rituals, somatic exercises), as well as time for processing the information as a group. The cohort system at Pacifica encourages a process of in-depth collaborative learning that integrates the multiple personal and cultural contexts affecting learning and guiding discussions. Class assignments consist of readings, posted reflections/discussions, exams, papers or projects. For every hour in class, at least three hours of academic work outside of class is expected. This time may include reading, reflections, research, and writing. Graduate study, in general, requires twenty (20) hours of study per week with an additional approximate 15 to 20 hours of practice per week in the second, third, and fourth years. The 1,500 internship hours are undertaken after the fourth year of study when the dissertation is complete and comprehensive exams have been passed. Experiential clinical training at off-campus clinical training sites is an essential part of the doctoral program. Students complete a minimum of 1,000 hours of practicum, 1,500 hours of internship, and 60 hours of personal therapy. The Director of Clinical Training works collaboratively with students so that they apply to placements in their first academic year and begin practice in the beginning of their second year of academic study. Students receive supervision and are given feedback at off-site locations as well as during campus coursework. Doctoral programs in any field require a final doctoral project that reflects the scholarly nature of such an advanced degree. In our practitioner-scholar, Psy.D. Clinical Psychology Programme, this project involves a completion of the Psy.D. Dissertation. Although it has similarities to dissertations in other academic disciplines or to dissertations in a clinical Ph.D. program, Pacifica’s Psy.D. Dissertation distinctly reflects the nature of our curriculum. Students in the doctoral clinical program are required to accrue a total of 2,500 hours of approved and supervised clinical experience. These hours are obtained in two “tiers” of training: Practicum (1000 hours required) and internship (1,500 hours required). 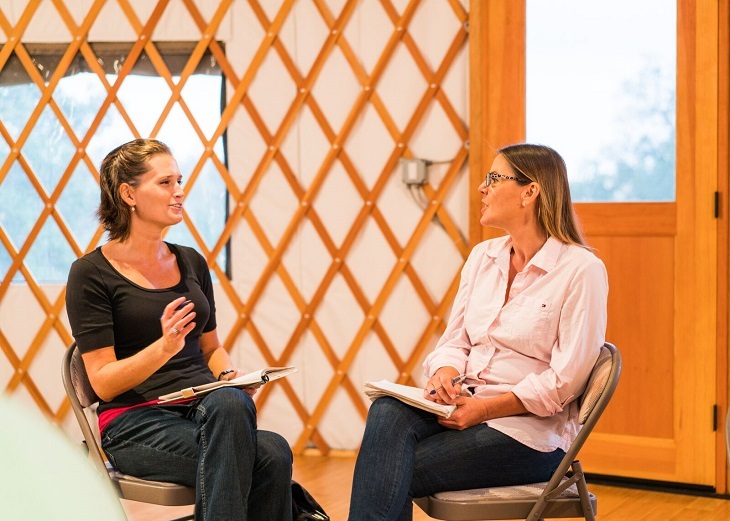 Both levels of training are obtained at off-campus locations such as, but not limited to clinics, hospitals, treatment centers, or other agencies, in which psychologists provide services. Practicum training is a lower level of training with more intensive and directive supervision and is obtained during the second, third, and fourth years of classes at Pacifica. The Clinical Training Handbook outlines the requirements for beginning clinical training. During the coursework on campus, the students participate in Thursday evening practicum seminars designed to ground their clinical training experience in small-group discussions, case conferences, and intensive supervision by faculty. In contrast to practicum training, internship training is a higher level of training with more independence and responsibility and is undertaken after the student has completed all of the coursework and passed the comprehensive exams. The internship, in contrast to the practicum, is a summative and capstone training experience, in which the skills and the knowledge obtained through the coursework and the practicum experiences are exercised. All of the training activities described here are coordinated and supported by Pacifica’s Training Office, including the Training Coordinator and the Director of Clinical Training. Clinical Psychology Psy.D. classes take place in four-day sessions (Thursday evening through Sunday afternoon) once each month during fall, winter, and spring over a period of four years. Between learning sessions, study and instruction continue through individual mentorship from faculty, web-enhanced learning, and cohort support groups. Pre-doctoral internship is expected to take place during the fifth year of training in the program, following the completion of coursework and dissertation. Students must complete a total of 116 quarter units to fulfil the unit requirement for graduation. A total of 107 academic units and a total of 9 pre-doctoral internship units. This curriculum may not meet all the requirements of each state for licensure in clinical psychology. Students seeking licensure in California will acquire regional accredited doctoral training qualifying them to pursue licensure as a clinical psychologist in California; however because requirements do change, students are responsible for remaining aware of current licensure regulations. Other students may need to meet additional licensure requirements in their home states and are likewise responsible for knowing their applicable state licensure requirements. Applicants are expected to bring a strong foundation in the field of psychology and a demonstrated interest and aptitude for the study of depth psychology, which will be assessed during the application process for bachelor level applicants. The program seeks individuals who are psychologically-minded and evidence the emotional resilience necessary to work in relational fields with diverse individuals and communities, including in community-based mental health settings. In addition to advanced writing and scholarship skills, successful candidates will have supervised clinical experience and manifest an interest in the relationships among psychology, the humanities as well as natural and human sciences.